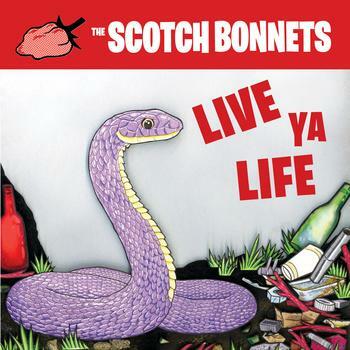 The Scotch Bonnets | New single, new artwork!!! In advance of the February 2 release of our upcoming album Come On Over, The Scotch Bonnets are proud to present our first single, "Hair Did", along with the album art (big ups Erin Frisby for the amazing illustration, as well as David Andler for layout). Catch us on tour NEXT WEEK!!! Dates are on our shows page. Can't wait to see you, West Coast!! !